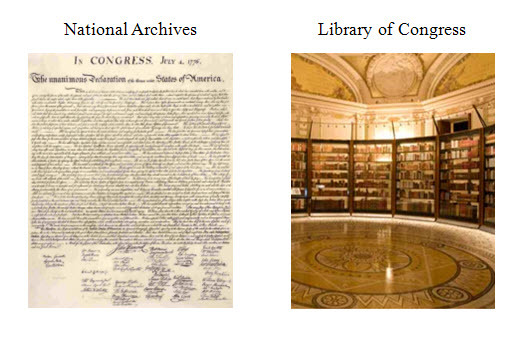 What exactly is the difference between the National Archives and the Library of Congress? Do they hold different types of materials? If you are dying to know how the Libary of Congress and the National Archives are different, the Scan Man will explain everything (with the help of the National Archives website, Today’s Document). As Americans we are very fortunate to have multiple institutions that are concerned with preservation of our national treasures. At the National Archives, we are thinking about the importance of preserving electronic records and making sure we aren’t losing our virtual memory.